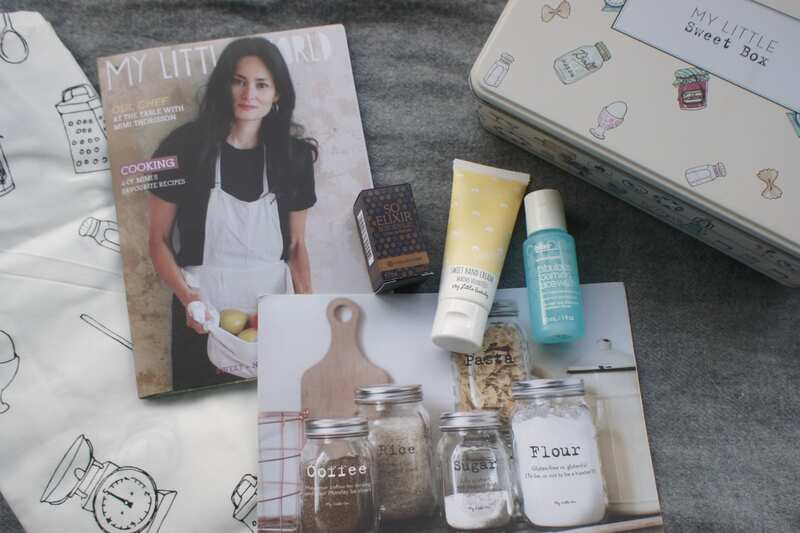 I really love the idea of subscription boxes. Who doesn’t? Pay £10-£15 and receive a carefully chosen collection of products where the value is (in theory) greater than the amount you pay. I’m not a beauty product sort of person, and I cancelled my Crafty Creatives box when they switched to one project a month for more money, so I’ve been looking for something else for a while. I kept seeing My Little Box advertised on Facebook and blogs, and thought it was worth trying, despite Charlottes review of their Frenchie box. The box this month is actually a pretty little tin, covered in little drawings of kitchen items. The label on the box and title for the month was “My Little Sweet Box” but there isn’t much on the tin or inside that reflected this title. Inside the tin (RRP £7.50) was a short (the ones that just tie around the waist) apron in similar doodles to the tin (RRP £11), jar labels (RRP £3), a hand cream from their own brand My Little Beauty, a sample sized bottle of bliss fabulous foaming face wash and a sample of a Yves Rocher fragrance (no retail prices provided on the beauty products). While the contents seem to be good quality, they don’t really match the theme of “sweet” very well – it’s like the title was popped onto the tin at the last minute without actually looking at it! With the theme of “sweet”, you could have gone with so many sweet smelling products rather than the musky perfume, barely scented hand cream and face wash. I have to admit, I was a little disappointed when I opened up the box, but at least I’ll be able to use the tin and apron, so not a total loss. 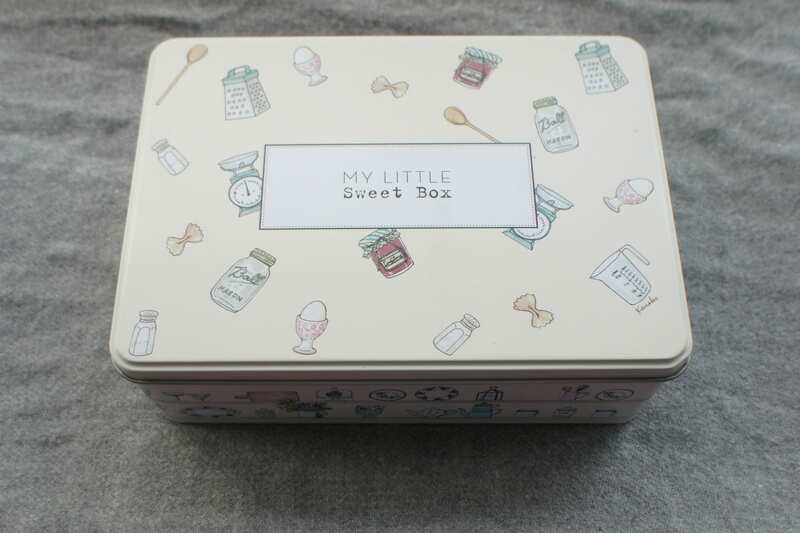 If you’re interested in My Little Box, you can find reviews of all previous boxes over on Which Beauty Box UK. Maybe it’s just me, and I’m too old to appreciate this box – which boxes would you recommend?